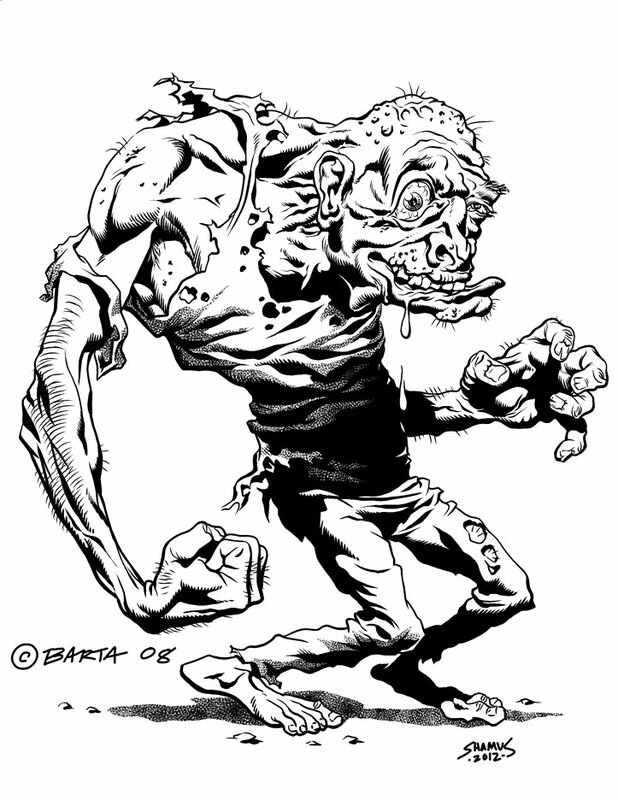 Here's a pencil sketch by Hilary Barta, cartoonist extraordinaire, of a surly looking zombie. I'm friends with him on Facebook, and he put up this sketch to see who would like to ink it. So I tried out my computer inking with Manga Studio EX4 to see how it'd be to ink over someone's pencils. It was fun to interpret the artwork. Love it. Thanks a a rotting heap, Shamus. Thanks for allowing me to try my hand over your pencils. I wish I could ink other people's work more, but I never get many chances.